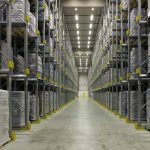 Dexion Drive-in pallet racking is able to use available space up to 90% more efficiently than standard adjustable pallet racking. 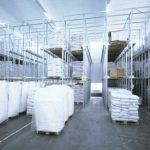 Dexion P90 Drive-in, also known as Dexion Deepstor, provides a pallet racking system that is ideal for batch storage of identical goods. 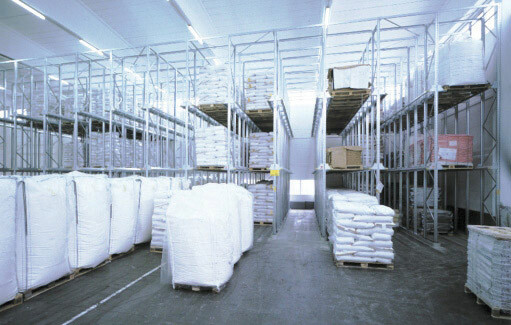 Dexion Deepstor uses the FILO (First In, Last Out) principle making it perfect for efficient storage of high quantities of the same goods. 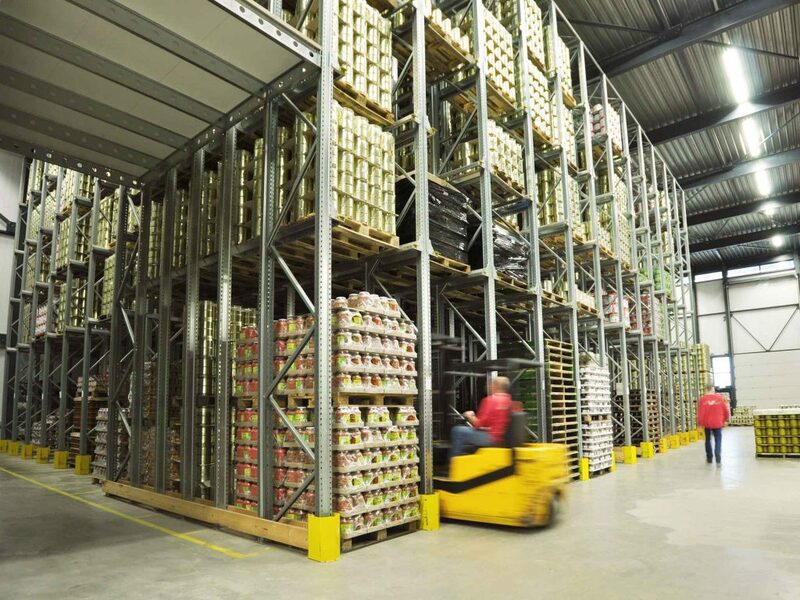 We recommend Dexion Deepstor for applications where access to individual pallets isn’t crucial but where you require easier access than may be achievable through block stacking pallets. 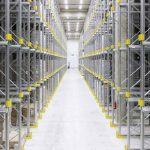 Whilst similar to block stacking, Dexion Deepstor Drive-in pallet racking really does increase to storage density of the warehouse. 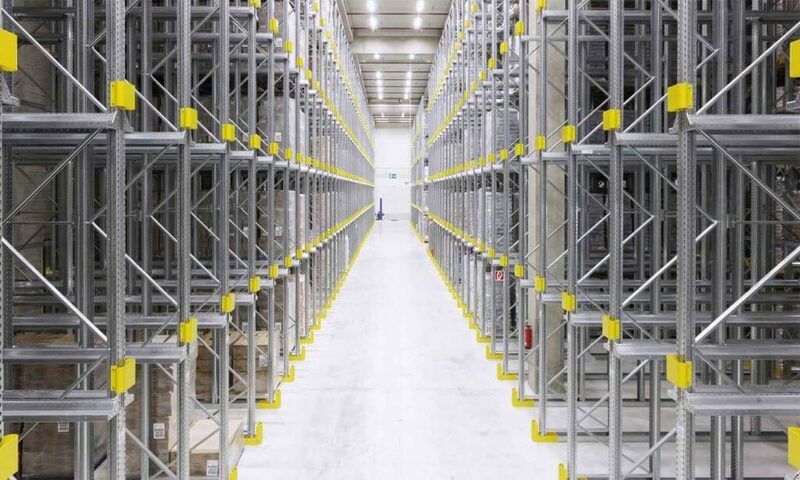 Dexion Drive-in pallet racking is more efficient in terms of storage space than conventional pallet racking, thanks to there being no requirement for picking of loading aisles. 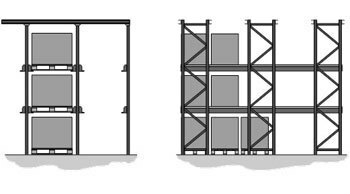 The forklift truck will load the racks by driving into the system and placing pallets onto drive-in channels rather than beams. These front-to-back channels, or rails, make it possible to elevate loads and stack next to and on top of each other. 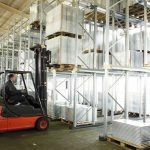 The Dexion Deepstor system creates a safe and efficient form of block stacking pallets that are not able to be stacked on one another. 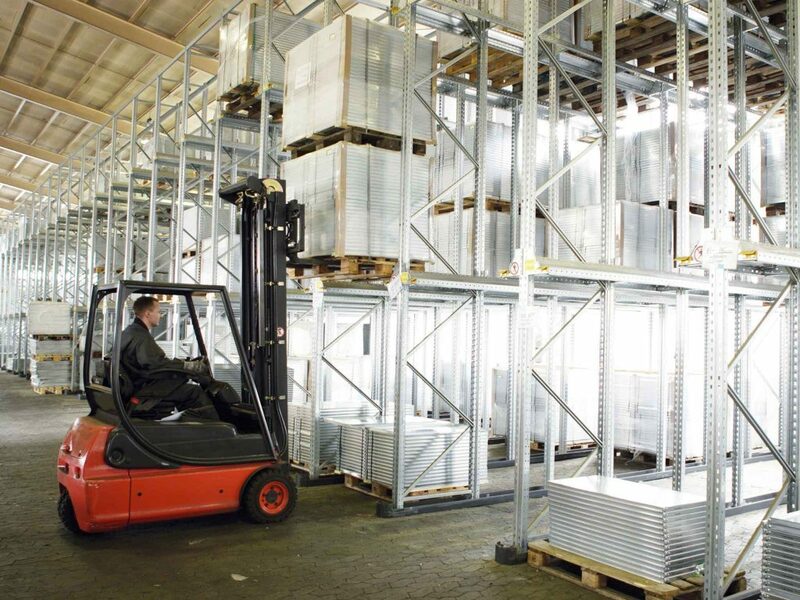 Dexion P90 Deepstor uses smooth steel pallet rails to ensure a snag-free surface for all pallets. 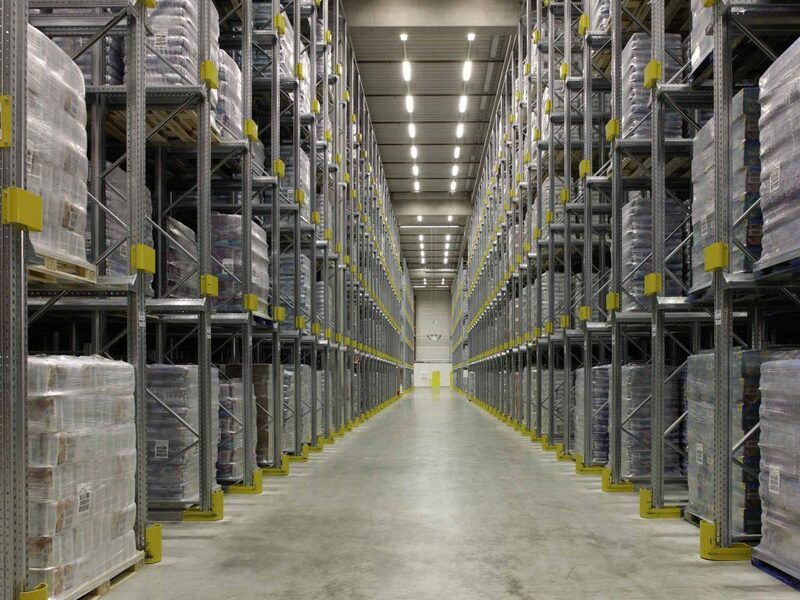 The rails slot into the racking uprights and are fully adjustable as with standard pallet racking beams. All Dexion Deepstor rails also come fitted with bright pallet guides to aid drivers and pickers in locating loads safely and securely.